Where am I moving?……..Newcastle upon Tyne, England! I’ll admit I applied to the Northumbria University program without much prior knowledge. The U.S. programs (UCLA/Getty, NYU, Buffalo State, and Winterthur/University of Delaware Program in Art Conservation (WUDPAC) are all pretty well known and understood within the conservation community in the US. Overseas programs are more well known on an individual basis. Some conservators know about the programs based on their attendance, their interns attendance, or a friends attendance. My only tie to knowledge about Northumbria University is through a friend, Brittney, who is currently attending the school for paper conservation. Once I found out I was accepted to Northumbria, I set out to find out information about the school and the city I am moving to in September. I’ll share with you all a little of what I have learned so far…. With a population of around 300,00 people, it is much smaller than I am used to in DC (700,000 people without the tourists). The city is one of the driest in the UK and features moderate temperatures year round (33-66 Degrees Fahrenheit). I’ll certainly be living in boots and sweaters! Primarily a coal and shipyard city until the mid 20th century, Newcastle (said as one word,not separated into New Castle) locals, Geordies, are employed primarily within the public sector. 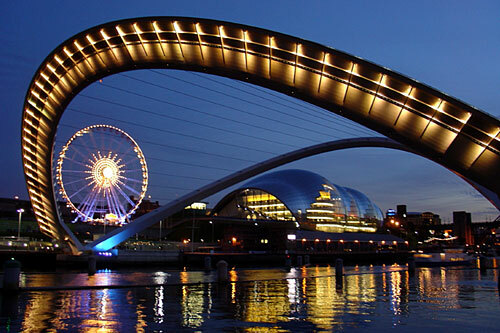 This includes the two universities located in the city- Newcastle University and Northumbria University. 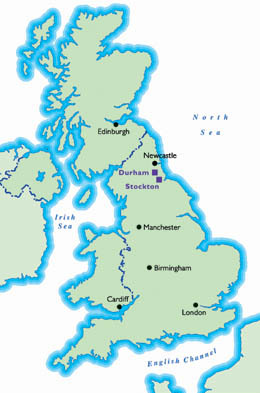 The city is also home to Newcastle United FC, a football/soccer team, as well as the womens team Newcastle United W.F.C. Additionally there is a basketball team called the Newcastle Eagles. Their biggest claim to fame is hosting the worlds largest half marathon, The Great North Run, where individuals run along Hadrian’s Wall at points. The town features a large ethnic food scene- including a Chinatown! Perhaps all of this awesome food will remind me of living in D.C. and it and my friends won’t seem all that far away. The city features many theatres, art galleries, pubs, clubs, and much more. It is rated number 7 for top nightlife in the world. Not sure I’ll have much time for this… but if anyone comes to visit perhaps we’ll venture out to experience this! Newcastle Beer and Sting are from here! 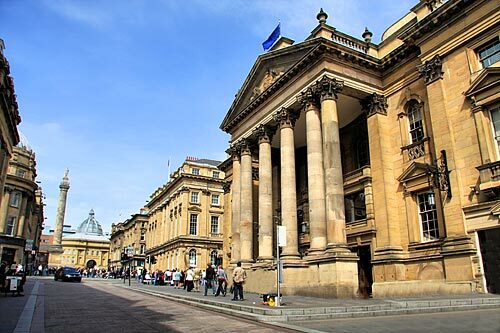 The city centre still features a predominately medieval street layout (meaning the roads randomly stop and start and don’t fit cars all too well) with mostly neoclassical architecture like you see below. My school is located in the city centre next to city hall. I’m excited to be surrounded by all of these historic buildings every day! I’ll also be able to take the underground metro and buses throughout the city. Trains and planes are at my disposal to explore beyond Newcastle. After all Edinburgh, Scotland is only 1.5 hours away and London is a little less than 3 hours! Congratulations! It’s a rough road to grad school — you made it! Thanks so much! I’m so excited to be going to school!